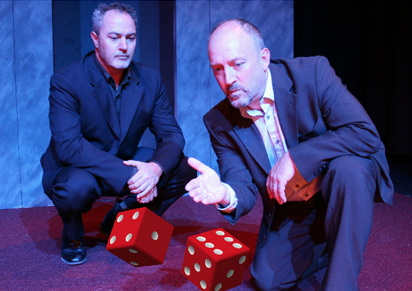 Darkly hilarious, quirky, seductive...inspired by Luke Rhinehart's clt novel, 'The Dice Man'. A disillusioned Psychiatrist live his life by giving options to a dice, and before long perceptions become twisted, ambiguity rules , and no-one is quite who you think they are!. Performed by Gavin Robertson, who is no stranger to Adelaide. His hit West End show, Thunderbirds FAB has appeared there, as has his comedy three-man version of The Three Musketeers. In 2004 he was in Guy Masterson's original award-winning productiion of 12 Angry Men', with Phil Nichol, Owen O'Neill, Steve Frost et al.